Everything you Need to know about CHIP Reverse Mortgages! Wouldn’t it be wonderful to be able to have money to do more of the things you love? To be able to have the freedom to pursue things you truly enjoy, especially in your Golden Years? Enter in a CHIP Reverse Mortgage! A Reverse mortgage is a simple and sensible way to unlock the value in your home. This mortgage product can tap into your home’s equity and turn it into cash to allow you to enjoy life on your terms. A CHIP Reverse Mortgage is a loan secured against the value of the home. With this type of mortgage product, you are not required to make regular mortgage payments. Instead the loan is repaid only when the homeowners no longer live in the home. Keep in mind that there are conditions with this. The homeowner is required to keep the property in good condition and keep up to date on property taxes and insurance. If the title of the property is registered to more than one person, you must be registered as joint tenants, not just as tenants in common. The difference between these two types of shared ownership is what would happen to the property when one of the owners passes on. If the property is joint tenants, the interest of a deceased owner automatically gets transferred to the remaining surviving owner. If it is tenant in common the deceased tenant’s property interest belongs to his or her estate. 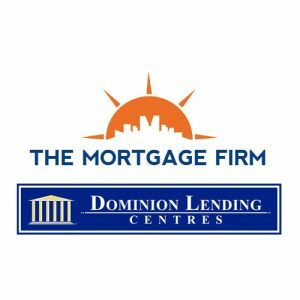 Although you do not need to have an income to qualify for the borrowed amount as there are no payments required, you will have to stay up to date on paying the property taxes, fire insurance and strata fees (if applicable). The income you have coming in will have to be enough to adequately cover those associated fees. Now for the big question you are all asking: How much can I borrow? Well, to answer this there are factors that contribute to the total value. First, your age is a determining factor for this mortgage product. Essentially, the older you are the more you will qualify to borrow. The second factor is in direct relation to the details of your property. For instance, a detached home will qualify to borrow a higher amount than say a condo or townhome. The final factor to consider in this is the maximum amount that can be accessed through a CHIP Reverse Mortgage. The max amount is set at 55%. So, if your property is worth $1,000,000 and you are looking to qualify for the maximum amount, that would give you a mortgage of $550,000. If accessing 55% Loan To Value is not high enough there are private lending options that will consider increasing the Loan To Value up to 65%. An easy way to take all three of those factors into consideration is to visit www.chipadvisor.ca and enter in your details. This can give you a rough idea of what the maximum amount is that you will be able to receive through a CHIP Reverse Mortgage. 1. An appraisal of your property will be required with an approximate cost of $300. 2. There will be legal costs associated which will be around $1495.00 This amount can be included in the mortgage funds and does not need to be paid out of pocket. 3. Independent legal advice is required on all CHIP Reverse Mortgages. The approximate cost will be $600. However, this again can be included in the mortgage funds and does not need to come out of your pocket. 4. Mortgage Penalties may incur if you are breaking the term of your mortgage. If you are selling to move to a nursing home the penalty fees will be reduced by 50%. 1. Myth: The bank owns the home. 2. Myth: Those with a reverse mortgage will owe more than their house is worth. 3. Myth: Reverse Mortgages are too expensive because the rates are high. Fact: HomEquity Bank rates are modestly higher than regular mortgages because there are no payments required. HomEquity Bank offers rates as low as prime +1.25%*. 4. Myth: The bank can force the homeowner to sell or foreclose at any time. Fact: A reverse mortgage is a lifetime product, and as long as property taxes and insurance are in good standing, the property remains in good condition, and the homeowner is living in the home, the loan won’t be called even if the house decreases in value. Reverse mortgages provide peace-of-mind that the homeowner can stay in their home as long as they’d like. 5. Myth: The homeowner cannot get a reverse mortgage if they have an existing mortgage. 6. Myth: The homeowner cannot get a reverse mortgage if they have an existing mortgage. Fact: Many of our clients use a reverse mortgage to pay off their existing mortgage and debts, freeing up cash flow for other things. 7. Myth: Surviving spouses are stuck paying the loan after the homeowner passes away. In closing, a CHIP Reverse Mortgage product is a unique product that can be very powerful and useful for a certain demographic. It can allow you tap into the funds that you need while allowing you to remain in your family home. We have seen clients use their home’s equity for a variety of things from supplementing their pension income, to paying off debts and helping out family without depleting their current savings. It offers unique benefits that may just be right for you. If you are interested or want to learn more, contact me today and I can give you the details that will relate to your unique situation.